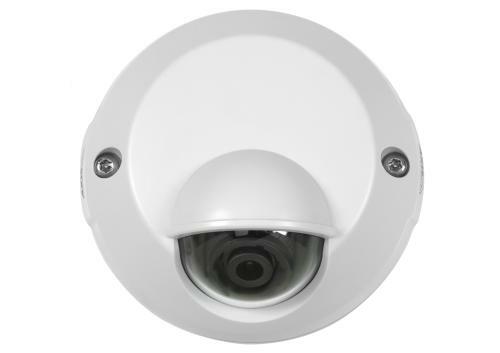 Designed for placement near the entrance of buildings, AXIS M3114-VE cameras are encased in a UV-resistant casing with a weather shield and have protection against rain, snow, sun and dust. They can operate in temperatures from 50 °C (122 °F) down to -20 °C (-4 °F). The cameras are also vandal-resistant and can detect tampering attempts such as blocking or spray-painting. Providing excellent quality video at full frame rate, the camera supports 1 megapixel and HDTV 720p. Models without the weather shield, which provide a greater tilt range, are suitable for semi-outdoor, ceiling-mount installations where the shield is not required, such as in a cold storage room or under a porch. Naturally they can be used indoors as well. AXIS M3114-VE cameras are designed for quick installation. The desired viewing direction and a leveled image can be easily achieved by using the supplied lens tool.